Keep up to date with what's happening in national, state and local EMS news! Enjoy updates from American Heart Association, National Registry and the WA State Department of Health. For more information or to order a pocket book, please contact the EMS office. For copies of the Archived Monthly Mailings, please contact the EMS office during business hours at (509) 574-2145. AHA introduces a new video to promote the Hands Only CPR campaign. This video is offered for informational purposes only and Yakima County EMS does not warranty that the contents of the video are correct. 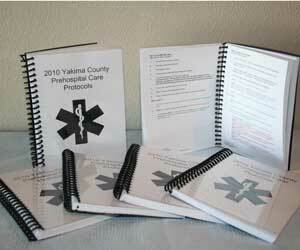 The viewer agrees to hold Yakima County and Yakima County EMS harmless for following its content. Thanks to the AHA for allowing us to place this video. 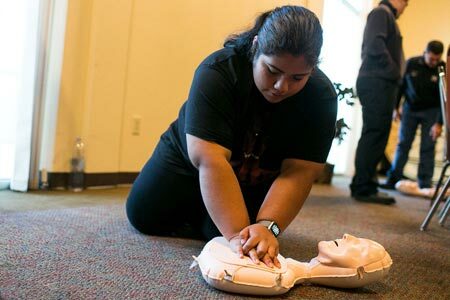 Read about the training event on the Yakima Herald Republic website.